On November 16th , 2017, For the very first time, IBCSD held a discussion between stakeholders on the effort from private sector to promote greenlifestyle. This moment has become a forum for discussion for representatives of various agencies to obtain an overview of the views and readiness of the private sector in implementing sustainable production patterns. The discussion participants are also able to assist in making baselines and guidelines expected. Increasing the impact on both social and minimizing adverse impacts on the environment is also the purpose of this FGD. 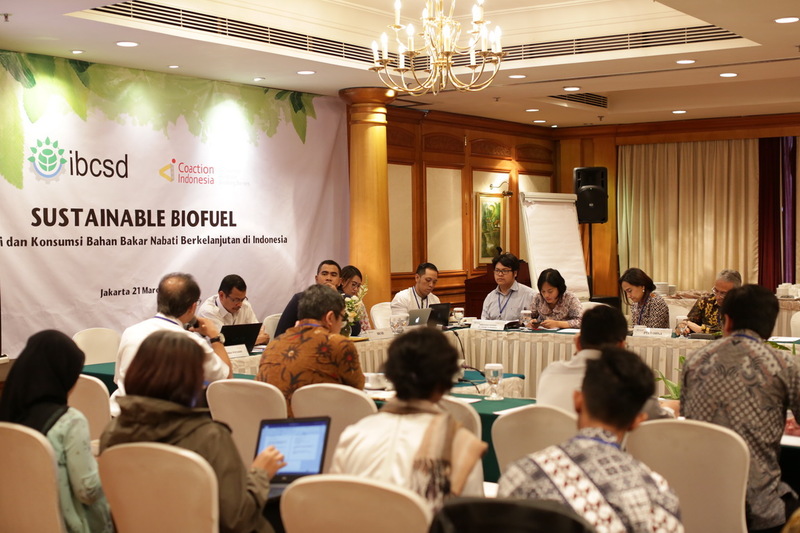 On March 21, 2018, in Jakarta, IBCSD in collaboration with Coaction Indonesia held the FGD Sustainable Biofuel as part of the Green Lifestyle series. The FGD discusses the dynamics of the biofuel industry in Indonesia and aims to get an overview and readiness of the private sector in implementing sustainable biofuel production, exploring existing challenges in getting sustainable sources, and building more awareness about biofuel environmental and social impacts on consumer side. 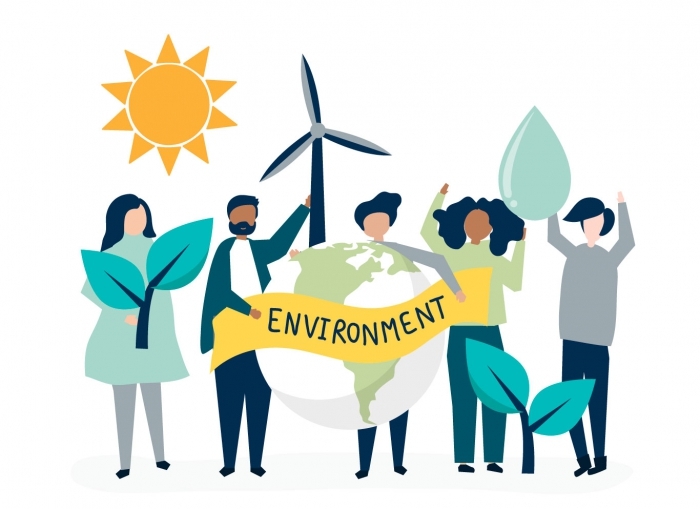 The discussion successfully mapped out some important elements in developing sustainable development such as life cycle assessment, traceability of the biofuel sources, integrated policy supports and the importance of complying sustainability standards. 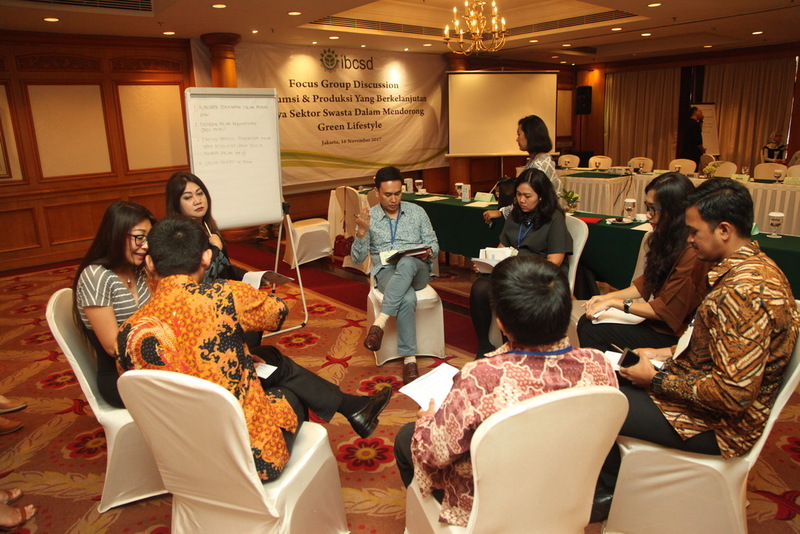 On April 18, 2018, in Jakarta, the theme of Shared Resources Joint Solutions picked for this Greenlifestyle FGD . Based on FGD results, the steps to achieve Sustainable Consumption and Production are as follows. The baseline provision for further tactical plan. Participation of producers, as a front guard in educating consumers Education of Consumers and Communities, educate consumers as a key for sustainable consumption and production Association as resource center, role in connecting and enhancing the capacity of business people Regulation and incentives, issued as a legal background and guidance in applying Sustainable Consumption and Production. Roles of Academia as resource knowledge provider and human resource developer. 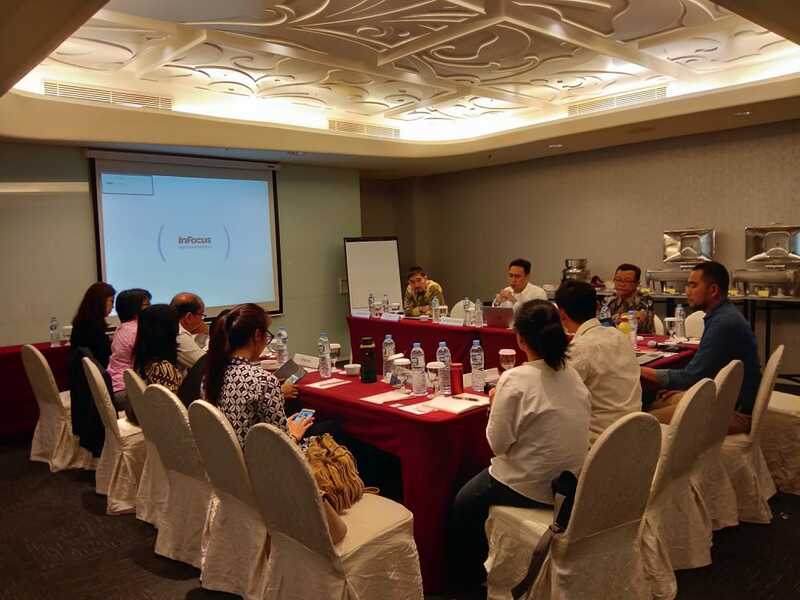 On September 30th, IBCSD held the Stakeholder Dialogue. This Stakeholder Dialogue is part of the effort to get information related to sustainable production patterns from the private eyes. Information collection is carried out in the framework of preparation Collaborative Action Plans for Responsible Consumption and Production. From this dialogue we learn several important things such as: The companies have made efforts for sustainable production but the company still uses the language of Efficiency; Responsible production patterns in the company are implemented as a form of implementation of the business values that are believed by the company; The company uses sources of certified raw materials or at least from responsible sources; The company innovates to realize responsible production patterns; The company has made efforts to realize zero waste to landfills; The company has educated consumers about sustainable products; Education and campaigns about sustainable products or environmental issues do not have a direct impact on increasing sales (still less than discounts, TV ads, etc. ); In the company there are knowledge gaps related to sustainability between the sustainability division and other divisions; The company has made efforts to manage the waste of their products — those that have been used by consumers (Packaging Recycling Programs); GAPMI stated that from the assessment conducted, the level of awareness of food companies regarding sustainable product is still low; Certifications carried out by certification institutions such as RSPO, UTZ and FSC are voluntary. Likewise Tetra Pak, which uses certification products (FSC), cannot force companies to use their products to label certificates in their products; GAPMMI has not made an effort to encourage their members to use sustainable raw materials; Education to consumers is focused on niche markets or potential consumers such as consumers with higher education, active organization etc; Educate companies about sustainability not to fulfill demand but part of creating a new market besides shifting from risk mitigation patterns to reach opportunity; Build an advocacy plan for the government for regulations that further support sustainable business practices or sustainable resources; Use of social media for consumer education about sustainability. 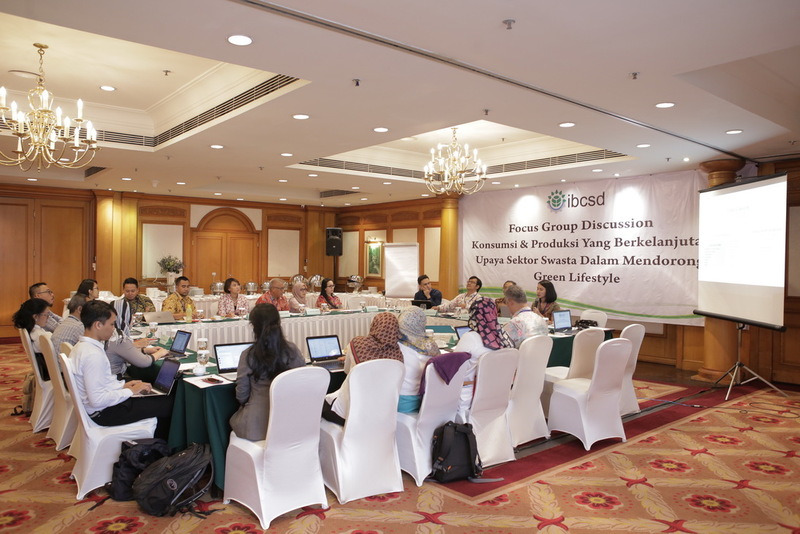 IBCSD held Focus Group Discussion (FGD) Green Lifestyle on Thursday, October 18, 2018 at Mercantile Club, Jakarta with the objective to develop a collaborative action plan from private sector on sustainable consumption and production. Technological innovation will not be enough to address the challenges, there will also be a need for transformations in mainstream lifestyles and consumption patterns. Therefore, Business should take a lead in collaboratively encouraging consumers to be more responsible in their consumptions. 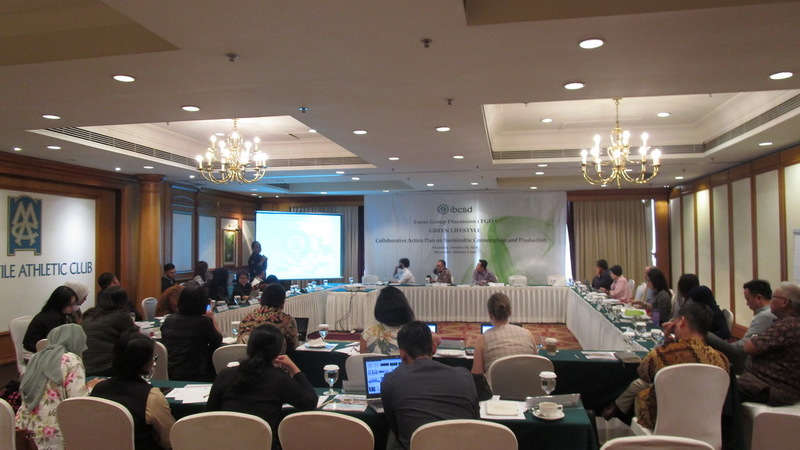 From the discussion that were represented by private sector and other stakeholders, the collaborative action plan noted the importance of having information platform for sustainable sources, spreading awareness inside the internal organization as well as collaboratively educating consumers on sustainable and green products. On Thursday, November 22nd, 2018 at Mercantile Club, Jakarta, IBCSD held the Seminar on Sustainable Sourcing. The objective of this seminar was to raise awareness of the importance of sustainable sourcing for business sustainability and climate action among business representatives as well as civil society. Also, in the event, knowledge, experience and information on existing activities done by companies and multi-stakeholder platform were shared, exchanged and discussed. 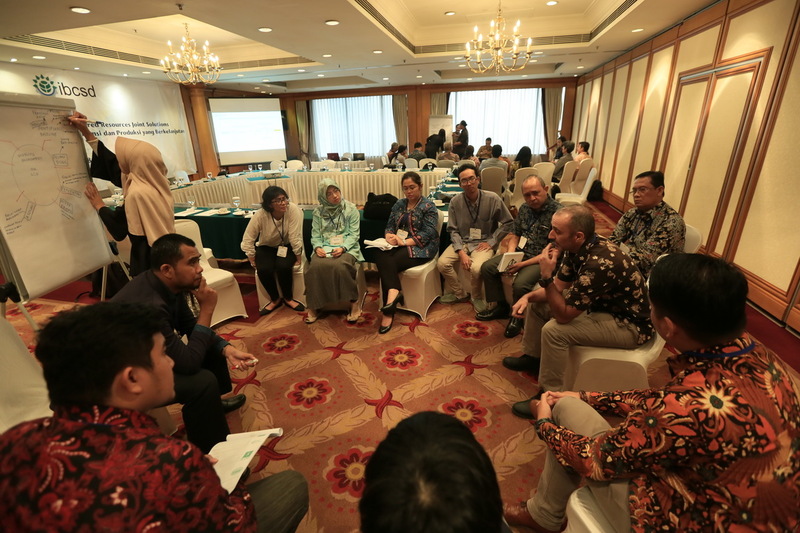 It is expected that the capacities of key actors from private and public sector could be strengthen in order to develop and push forward integrated strategies for pursuing sustainable sourcing.